This is what I had for dinner last Sunday, Salmon Pepper Rice. It was already delicious on its own, but with honey brown sauce, it tasted even better! I would have enjoyed it more had there been more salmon flakes on my plate. I think the serving portion was quite small for the price of Php265.00. What do you think? 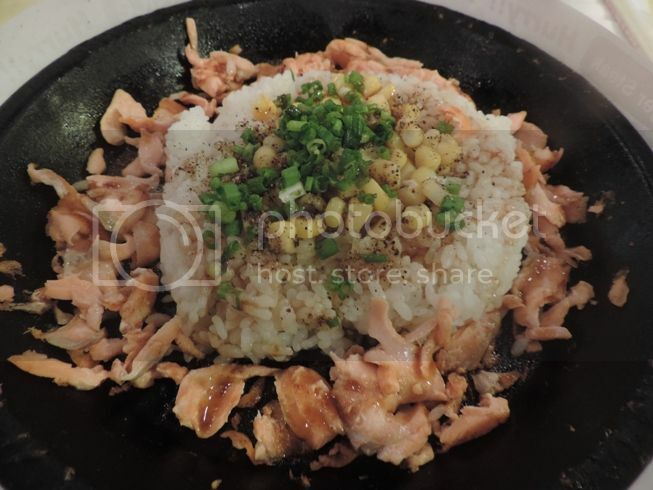 This entry was posted in Pepper Lunch, Salmon Pepper Rice, SM Megamall. Bookmark the permalink.